Because your pet is an important member of your family, we encourage routine physical examinations and preventative health care to keep your pet in the best condition possible. This is achieved with state-of-the-art veterinary and surgical services that provide the best possible care for your pet. We recommend bringing your pet in for a wellness check-up once a year. This will include a full physical examination and an evaluation of vaccination requirements/recommendations, as well as discussing bloodwork as s/he begins to age. Our pet doctors will check your pet from head to tail, and will make any recommendations we believe that would augment your four-legged family member�s health. Please feel free to bring in any medical history you have when you come to visit our hospital. It is best to keep a journal of your pet's health throughout his or her life, including behavioral shifts and any medical disorders. 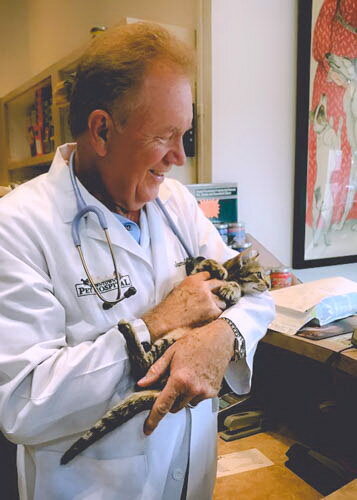 In some circumstances, our veterinarians will refer your pet to a specialist, who has advanced expertise in areas such as internal medicine or surgery. We are pleased to offer internal medicine and ultrasound consults in hospital, as well as some surgical procedures performed by a traveling veterinary surgeon. We also have a relationship with the local specialty hospital in Maitland, if the immediate need arises.